Are today’s cars nothing more than technologically-advanced covered wagons? As our perspectives change with time, what role does the modern car play in our lives? Geoff Maxted of DriveWrite Automotive Magazine examines in this Letter From The UK. ‘Quaint’ is an old Middle-England word that once meant wise or skillful but, since around the 18th Century, has come to mean oddly picturesque or pleasing in an old fashioned way. Why, you ask, this lesson in Olde English? Well, that’s the kind of pedantic, semantic guy I am and because it is relevant to this Letter From The UK. Quaint then used to describe Great Britain as it once was. 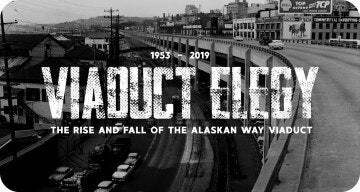 Sadly, the past is a foreign country; they do things differently there*. There is, alas, not much that is quaint about the UK today. 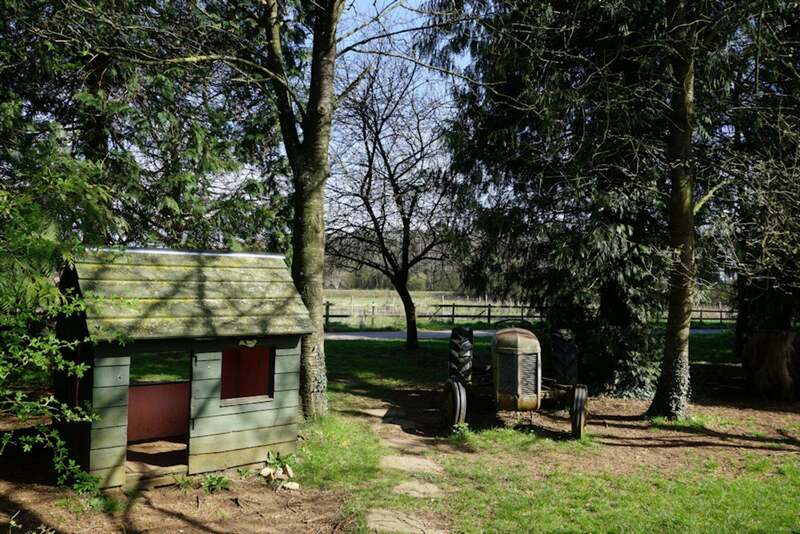 Thankfully though the seeker of calm can still discover some pockets of blissful quaintness; quiet, sleepy villages, and lush countryside of great beauty where the only distraction is birdsong. This is the land where British traditions survive and maintain. 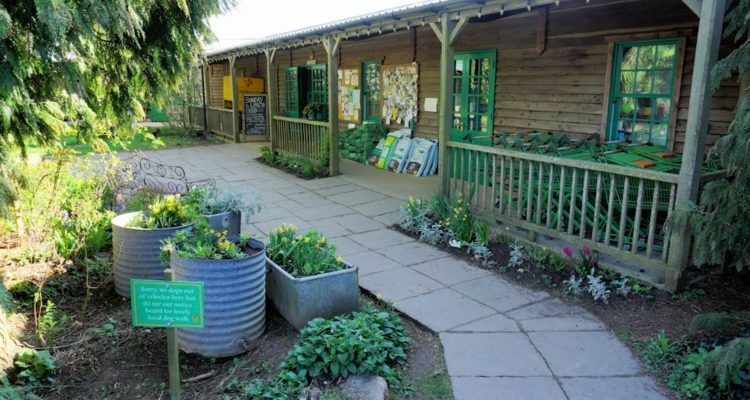 Among the most popular is the traditional farm shop; and they are just like they used to be in olden times, with locally-grown produce only now, of course, they’ve gone organic. With few exceptions these farms are not conveniently served by public transport. Ideally horseback is how we should do it, but these days we Brits prefer our personal iron transport of many horses: we go by car. Which finally brings me clumsily to the point: how we value cars today as a means to an end. Automoblog’s Geoff Maxted often travels the English countryside road testing vehicles. This time around, it’s the Ford Focus Active. Photo: Geoff Maxted. If a car is called an Active it seems only right to do active things. This is not something that comes naturally to this writer, but Ford don’t make a car called The Sedentary. 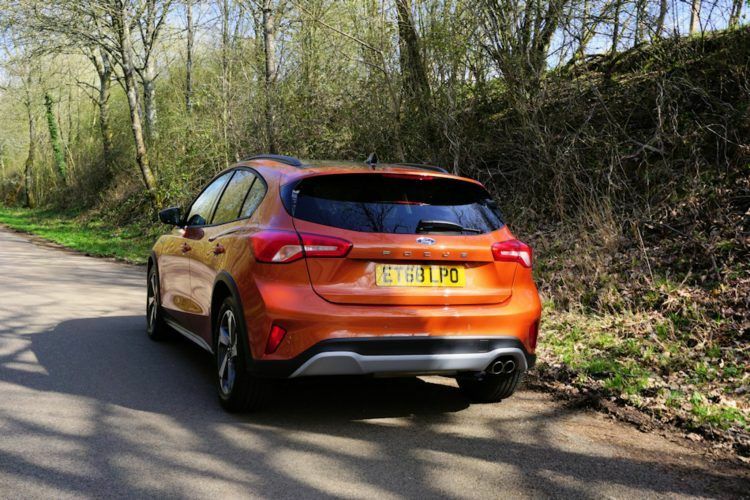 The Ford Focus Active then is a regular Focus, dressed as a crossover with hints of added SUV-style for lovers of the outdoor life. The UK TV campaign shows it in perhaps a more versatile estate car (station wagon) format, but the featured car here is the hatchback version and very good it is too; especially since this 2019 model (fourth-generation) Focus, launched in Europe and China last year, was awarded the maximum five stars for safety, thanks to a full complement of the latest safety equipment. Sadly, America, you cannot have this car. You have to make do with the still very good but ageing third-generation model. In August 2018, Ford announced the cancellation of plans to import the new Chinese-built Focus crossover to America, citing tariff concerns. As a result, the fourth-generation model is not available in the United States after Ford decided to not manufacture the Focus domestically for the U.S. market as they did with the previous model. Bad luck; it’s a great car. Still America made us wait for over 50 years for a right-hand drive Mustang so, hey; what goes around comes around. 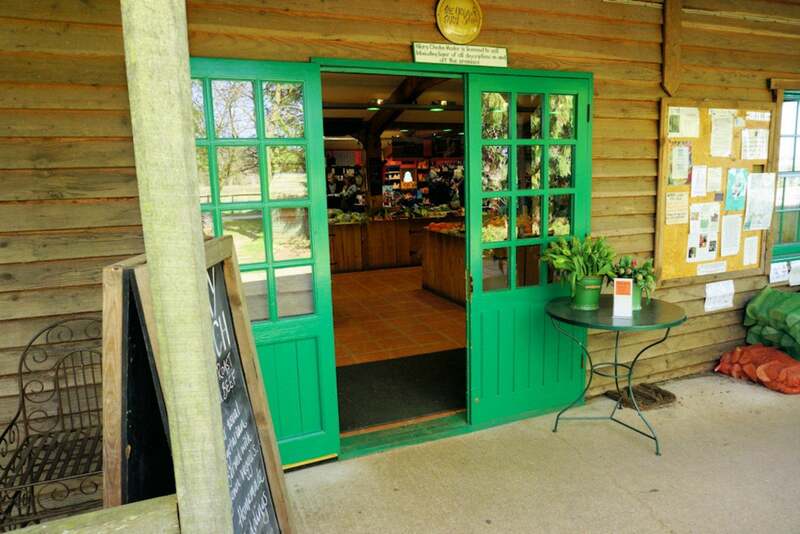 During a road test, one works up an appetite, so stopping at a local farm shop in the English countryside is a must. Photo: Geoff Maxted. It’s the latest Ford in a new family of Active crossover models inspired by sport utility vehicles. 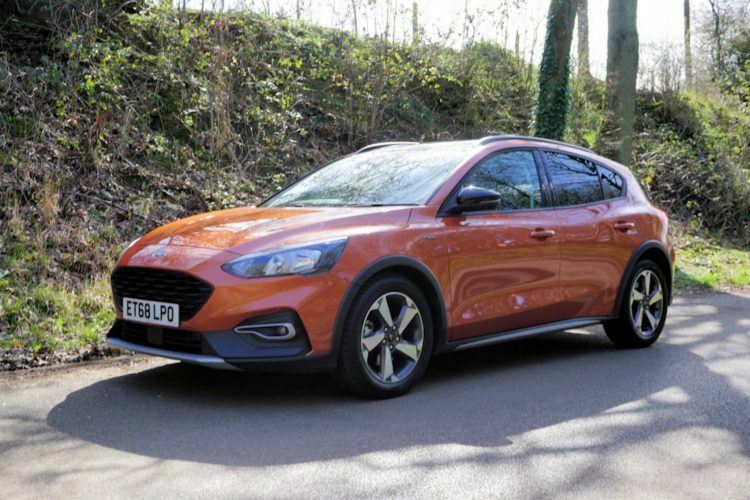 As mentioned, the Focus Active is available in spacious five-door hatchback and estate body styles with rugged exterior styling, a raised ride-height, and a bespoke chassis configuration to retain those class-leading Focus driving dynamics. Thrown into the mix we have added rough-road ability and a higher driving position for more confident urban and highway driving. It is a car that puts the family first yet won’t disappoint the keen driver with its sharp steering and traditionally good Focus handling. The Focus Active features, we learn, unique springs, dampers, stabiliser bars, and front and rear knuckle geometries. This along with a ride-height raised 30mm (approx one foot) at the front front, and 34mm at the rear (over the standard car) means added ground clearance and a high hip-point on the seats that makes access easy. Just step in. With 17-inch alloy wheels fitted with sturdy, higher-profile 215/55 R17 tyres (in Europe) as standard, like all the other Focus models, this car has Normal, Sport, and Eco selectable drive modes. In addition, the Active also comes with a ‘Slippery’ mode, which adjusts the electronic stability and traction control settings for increased confidence on surfaces with reduced grip such as mud, snow, and ice. Further, there’s a ‘Trail’ mode, which helps maintain momentum on soft surfaces such as sand. This adjusts the anti-lock braking to allow for greater wheel slip and configures traction control to allow higher wheel spin that cleans sand, snow or mud from the tyres. Blessedly, there was no opportunity to try it on snow, but on gravel farm tracks it worked a treat. Ideal if full-blown four-wheel drive seems over the top which for most users, it is. The test car was powered by a 1.5L EcoBlue Start/Stop diesel engine with emissions of only 110g/km, driving through an eight-speed auto with paddle shifts. Don’t believe the negative hype, the latest crop of diesel engines are fine. Otherwise there’s another diesel option or two petrol variants of which the 1.0L three-cylinder EcoBoost is a standout unit. With 118bhp, the Active won’t leave a trail of burning tarmac behind it but the engine does deliver more than adequate power for brisk acceleration. We saw 50 mpg on test and that’s with putting the car through its paces, on and off the road. Inside the updated cabin, which is typically Ford, a leather steering wheel and bright elements on the dashboard and door panels, plus Active scuff plates on the sills, all deliver a high-quality feel. The high-bolstered seats are trimmed with distinctive Active cloth and are very, very comfortable, even over long distances and on rough terrain. There’s tons of leg room and the usual array of technology, including navigation and a reversing camera. Maybe one day Ford USA will relent or tariffs will be reduced because overall this is a fine car. The Ford Focus Active is the perfect car to take you off the beaten path. Photo: Geoff Maxted. The Focus Active is also a prime example of this topic: the recent news that the European Union (and the UK depending upon what happens with Brexit and don’t ask) is planning to legislate that all new cars built in or for European consumption from 2022 will have speed limiters fitted to a maximum of 70 mph. Not entirely sure about either our personal privacy and freedoms or indeed what Ferrari and the like will think of that but it is probably likely to happen. Sorry future drivers, fast cars are out. The car as lifestyle transport is in and to some extent already explains the public’s on-going love affair with the SUV. So our cars henceforth become simply a mode of transport to further our working day and our leisure time. In frontier parlance, they are the modern-day covered wagon, the Romany caravan, the omnibus of the future. That’s what the Ford Focus Active is and what soon all cars will be. It moves people at their leisure to places that sell fresh vegetables and fruits and all manner of sturdy clothing without unduly polluting the atmosphere or upsetting the country folk. Ford did an excellent job with this car and its all-round usability is to be commended; but, sorry, you’ll have to take my word for that. No Comments on "Letter From The UK: Ford & The Farm Shop"